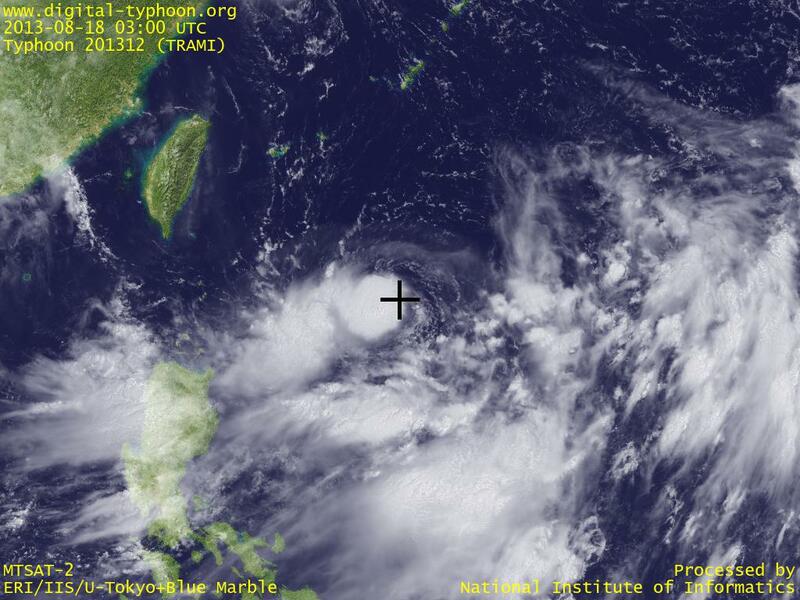 Typhoon TRAMI was formed in south of Okinawa. This was first born as a tropical depression, then moved south to became a typhoon, but now it is forecast to move back toward north. The track may be further complicated by the effect of another tropical depression in East China Sea. This typhoon is not expected to be a strong one, so people in Sakishima Islands may have another expectation for the typhoon to bring water to them.